You know the term ‘one-size-fits-all,’ but have you ever really seen the idea work well in practice? Think about it; we’re all individuals with our own wants, needs, beliefs, style – it’s what makes us, us. And we wouldn’t have it any other way – right? So why would we settle for something that doesn’t really fit – whether it’s clothes, shoes, cars or particularly something as important senior living? Yet for years the senior living industry has asked us to do just that. It’s essentially followed a ‘one-size-fits-all’ model with standard offerings for dining, living arrangements, activities and even the care provided, leaving many residents and their families feeling it’s far from well-suited to them. Not anymore, at least not at Sonata, where our approach is all about finding just the right fit for your family and your circumstances. Aging well goes way beyond providing a few games and social activity options. In fact, the International Council on Active Aging (ICAG) has identified seven overlapping dimensions of wellness that can help seniors live as fully as possible: emotional, intellectual, physical, vocational, social, spiritual and environmental. 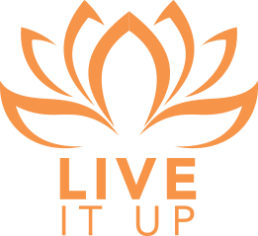 Sonata has taken these wellness dimensions and integrated them with the latest research in active aging along with the most current training, equipment and resources to develop our proprietary Live It Up!℠ signature program. educational, spiritual and volunteer opportunities. Our communities are designed for the needs of our residents and emphasize natural light, safety innovations, diverse amenities and outdoor recreation areas. Have no worries about managing for yourself at Sonata. 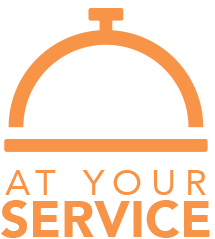 We are always At Your ServiceSM. We believe so strongly in this philosophy that we’ve created an entire signature program around it based on eight standards of excellence that all team members embrace: commitment, caring and compassion, teamwork, communication, privacy and confidentiality, safety and security, cleanliness and quality and service recovery. 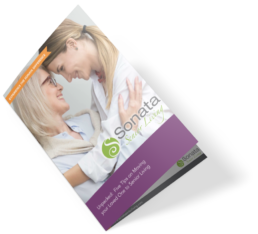 Plus, Sonata’s memory care communities were early adopters of internationally renowned dementia care expert Teepa Snow’s Positive Approach™ to Care (PAC), which strives at all times to: Connect, Protect, Reflect, Engage and Respond. 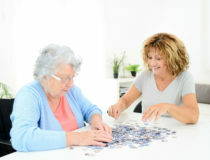 Proactive and facilitative focus – Rather than do tasks for residents, we perform tasks with them to create confidence, self-control and trust. Ability-centered approach – Evaluations and care plans focus on each resident’s current abilities to maximize engagement, function, health and happiness. 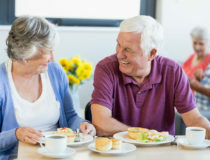 Individualized care – Integrating residents’ life stories and preferences into daily care helps to improve personal connections, independence and emotional well-being. Our ‘your-size’ approach to senior living communities in Florida has earned us national recognition as an innovative leader with evidence-based design and programming. But our approach that focuses on helping our residents to live their best lives is what truly matters most to each of us at Sonata.